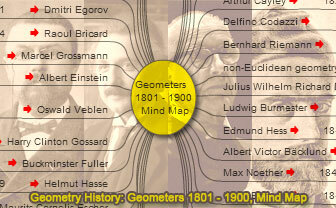 Geometers from 1801 to 1900, Interactive Mind Map. Elearning. Important geometers and their main fields of work, chronologically listed from 1801 to 1900.